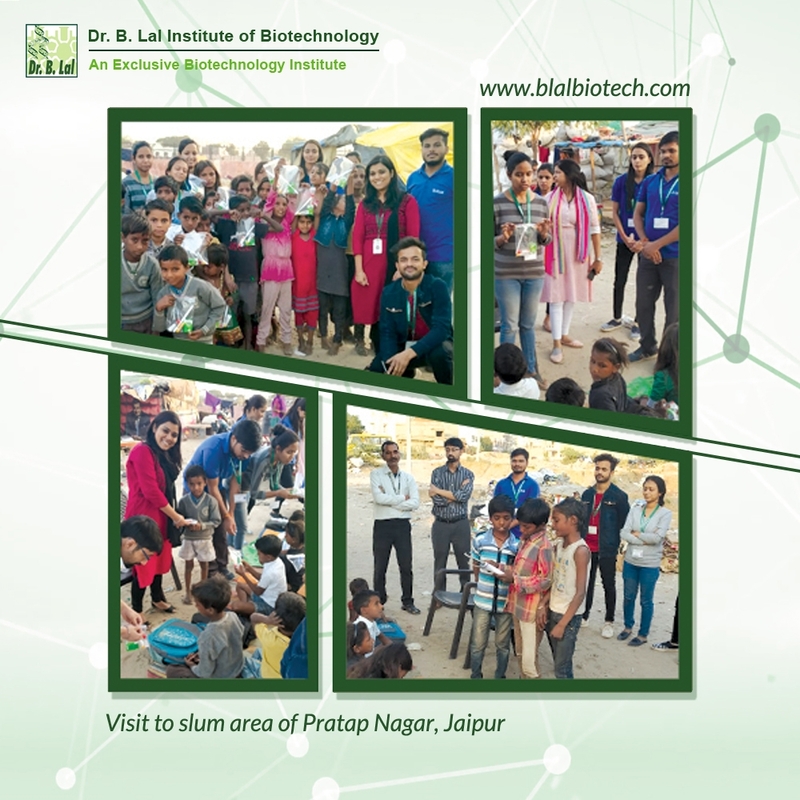 The visit to slum area of Pratap Nagar, Jaipur was initiated by Social Club of Dr. B. Lal Institute of Biotechnology. On 24 th November 2018. It was an immensely humane cause that propelled the students of the institute to show the children who were needy, that society cared for them. A group of M.Sc. III semester students along with social club coordinators distributed hygiene kits to poor children. Awareness was created among the kids with emphasis on importance of maintaining personal hygiene like washing of hands, brushing of teeth, etc. The kits that were distributed contained a toothbrush, hand sanitizer, toothpaste and soap. The visit boosted the children to better their routine and lives.